Predator diet is known to influence antipredator behaviour in prey. Yet, it is not clear how antipredator behaviour is affected by diet changes of the predator. 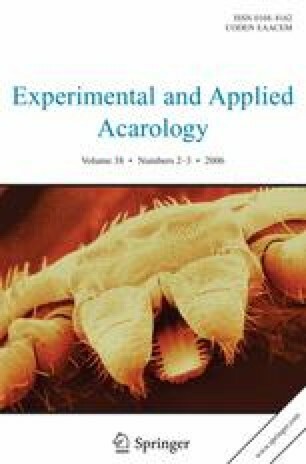 We studied the effect of previous and present diet of a predatory mite Typhlodromips swirskii on the antipredator response of its prey, the whitefly Bemisia tabaci. An earlier study showed that adult female whiteflies that had experienced predators, had learned to avoid ovipositing on plants with predators whose previous and present diet consisted of whitefly eggs and immatures. Here, we investigate whether adult whiteflies also avoid plants with predators whose present and/or previous diet consisted of a non-whitefly food source. Adult whiteflies were found not to avoid plants with predators whose present diet consisted of pollen and whose previous diet had consisted of either pollen or whitefly eggs and larvae. They did avoid plants with predators whose present diet consisted of whiteflies and whose previous diet had consisted of pollen, but to a lesser extent than when previous and present diet consisted of whiteflies. In a choice experiment, whiteflies discriminated between plants with predators whose present diet consisted of whiteflies, but that differed in previous diet. Our results show that both previous and present diets of predators are important in eliciting antipredator behaviour.